Services - THT Presses, Inc. Whether you need a new machine, or have an existing THT machine, we can perform any of our services for you. THT’s machinery and tooling design is an innovative trademark of our team of experienced Electrical, Mechanical, Process, and Program engineers. Complete vertical integration of all phases of design and manufacturing makes THT your number one choice. We have a fully equipped state-of-the art multi-functional laboratory where we can design, develop and test your prototype. We provide 3D modeling for design and to illustrate results of various scenarios in regards to your application. We can develop your tooling requirements and test them in our fully functional facility. If you have existing tooling, we can use the same molds, and adapt them to our machine. Explore and test “what-if” scenarios for new dies, tooling and casting techniques. Tooling is fully inspected and tested before it is shipped to the customer. THT’s customers can utilize THT’s lab facility to test their new components. THT can offer additional production, if required by the customer (based on customer demand). The ability to cast difficult or previously impossible parts in a variety of materials. THT presses and tooling are unique. If you have a unique casting idea, contact us. We can probably find a solution. We can take your project from concept through production, or anywhere in between. Do you have a new idea for a component and and cannot test it in your own facility? Call us and we will help you test the feasibility of the idea and even run samples in our laboratory for you. When we produce anything for you, we have inspection and quality control systems in place that will meet all of your requirements. 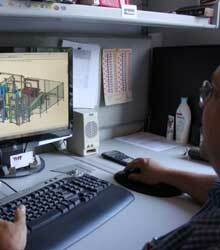 We have the capability to produce any size part and even large parts from 100 to 600 pounds. Just about any part you can envision can be created by THT. We can cast irregular shaped parts and utilize inserts and metal matrix composites (MMC). If you have an unusual requirement, ask us – it may be possible with THT.